At Therachat, we’ve conducted a nationwide anxiety survey of 900 U.S. respondents. It benchmarked general anxiety levels as well as identified the top triggers, impact to regular activities and effectiveness of coping exercises. The survey was conducted online among a cross-section of generational groups including Gen Z (ages 19 and under), Millennials (ages 20 to 36), Gen X (ages 37 to 52), Baby Boomers (ages 53 to 72) and Silent Generation (ages 73+). We also analyzed differences in gender, relationship status, location type and employment status. The data insights emphasize the role anxiety plays in the lives around us and shows that while therapy is proven to help, therapist visits are not being sought out. 47 percent of respondents experience anxiety daily, 28 percent experience anxiety weekly and 18 percent experience anxiety monthly. The top three anxiety triggers are “confrontation” (68 percent), “the future” (68 percent) and “work/school” (67 percent). Of those who experience anxiety (daily, weekly or monthly), the majority (92 percent) believes they “cannot fix it alone.” However, 67 percent do not get the support and understanding they need from those close to them. This number was a lot higher with those who are widowed (89 percent) or divorced (79 percent). The majority (77 percent) of respondents with anxiety do not currently go to a therapist. The most common reason being attributed to cost (44.6 percent) and self-identifying symptoms as “mild” (40.3 percent). Of the 23 percent of respondents who visit a therapist, 46 percent find the sessions effective and 47 percent feel progress is hard to measure. With Gen X, 81 percent of therapy patients find it effective. Over 60% of therapy clients reported a reduction in their distress after using Therachat consistently. Try out our platform 7 days FREE and get better results out of your therapy sessions. Get your 7-day free trial HERE. Brought to you by Therachat. Therachat is a secure HIPAA-compliant platform that empowers and helps you to engage your clients in between sessions. 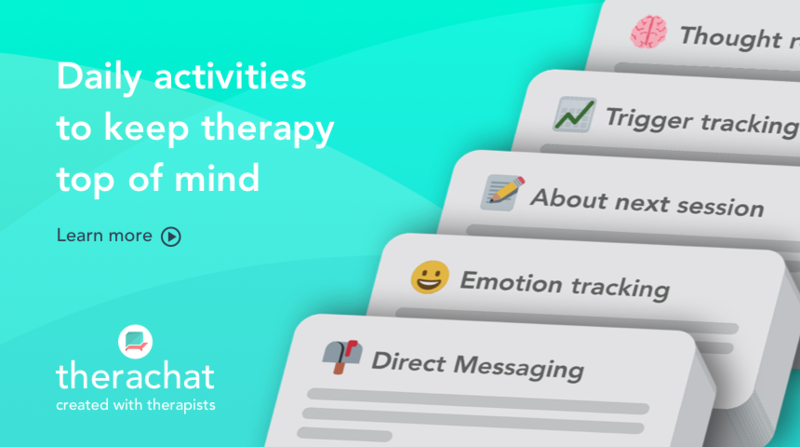 Set yourself apart as a therapist by providing tools to connect and engage with your clients in between sessions. Start your 7-day free trial today. 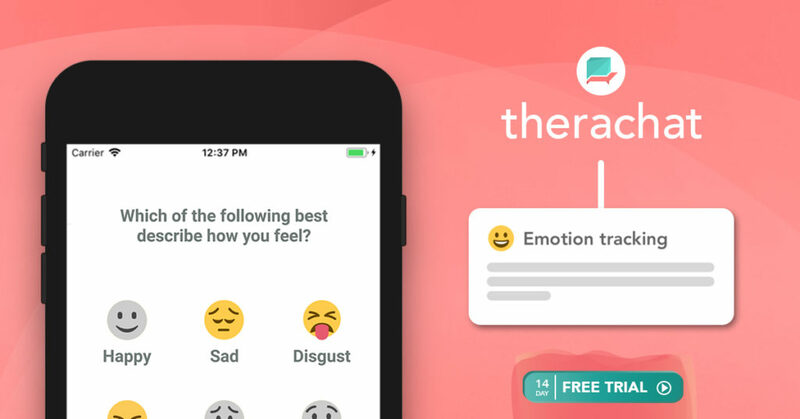 Therachat offers pre-made activities for psychologists and counselors to engage their clients in between sessions and achieve better outcomes. I do think that you should write more on this topic, it may not be a taboo matter but usually folks don’t discuss these subjects.